My first memory of the late, great saxophonist Michael Brecker, was at Catholic University’s McDonough Arena in 1975, during his stint with the incredible drummer Billy Cobham. After an opening set by the soon-to-be-famous Hall and Oates, Cobham and his group, featuring trumpeter and brother Randy Brecker, guitarist John Abercrombie, trombonist Glenn Ferris, bassist Alex Blake and pianist Milcho Leviev took the stage. Needless to say, I was completely blown away. 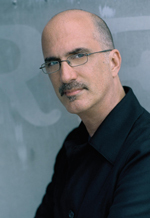 Cobham’s albums with that line-up, “Crosswinds,” “Total Eclipse,” and “Shabazz,” were some of the greatest jazz albums of it’s time, and Michael Brecker’s solo on Crosswind’s “Heather” was such a moving performance, that it remains etched in my mind to this day. His fame increased along side his brother’s in their “Brecker Brothers” groups of the ’80, with Frank Zappa, and later with Steps Ahead. With Brecker’s passing, the jazz world has clearly lost one of the greatest saxophonists it has ever known.